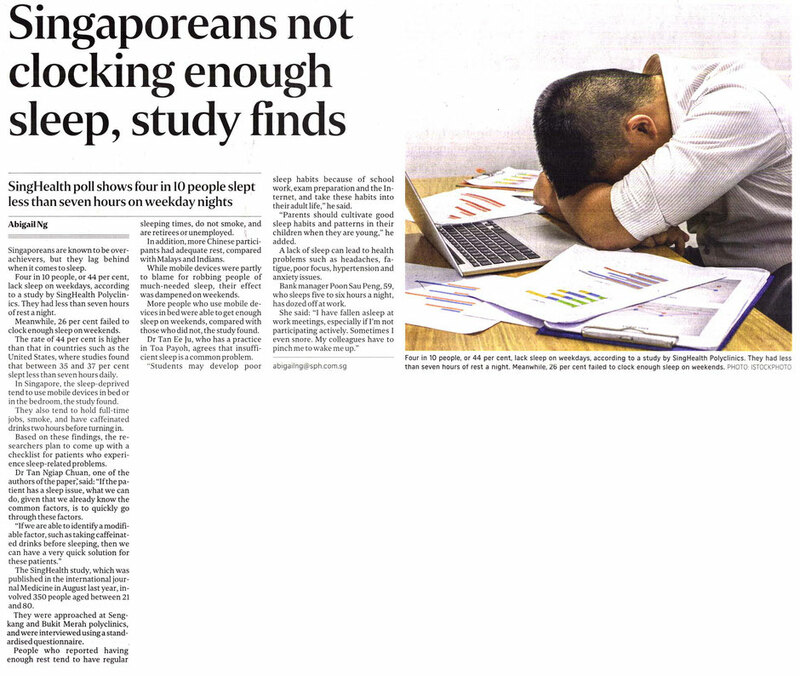 44% of Singaporeans do not get enough sleep according to a 2016 study by SingHealth Polyclinics1. They are clocking in less than 7 hours of sleep a night. In another report, also published in 2016 by the University of Michigan in the Journal of Science Advances, Singaporeans (along with Japanese) ranked as number 1 as the country where we get the least amount of sleep2. This is a big problem here so we’re going to give it the Levitise justice it deserves and tackle how to remedy insomnia and sleep disorders in this post. Table 1: Sleep habits of Singaporeans. Only 16% are getting enough sleep. For a normal, fully functioning, human being we need, on average, 8 hours of sleep a night. Yes, some people can get away with a little less and some need a little more but 8 is a good ball park figure. However, if you suffer from any kind of stress, engage in late night activities, have any kind of adrenal fatigue then you’ll need more. In fact, in our practice we advise clients with Stage One adrenal fatigue to get at least 9 hours of sleep a night, Stage Two 10 hours, Stage Three 11 hours and Stage Four as much as necessary to heal (Stage Four is normally accompanied by a complete nervous breakdown which essentially means the body cannot manufacture enough cortisol to get out of bed in the morning and is forced to rest to recover anyhow). This blog post is a result of one of our downtown Meetups that we regularly hold. These are great opportunities to catch up with our Holistic Lifestyle Coaches and Performance Coaches to discuss issues that are of interest to you. Feel free to add yourself to the Singapore Holistic Health Group on Meetup to keep up to date with what we have in the pipeline. What are the problems associated with insomnia, sleep disorders and an accumulation of lack of sleep (sleep debt)? How do you know if you’re suffering from insomnia or sleep disorders? Well it is pretty simple really. Of course, if you’re waking up in the middle of the night with night sweats or tossing and turning struggling to get back to sleep for hours at 2am you know you have a sleep disorder. If you go to bed at 11pm but can’t nod off until 3am you know you have insomnia if this is happening regularly. What about mild sleep disorders? Everyone on the planet should be able to wake up naturally, with the sun, ready to leap out of bed full of energy, feeling refreshed and ready to seize the day. If you need an alarm to wake you up or if you need that coffee or tea to really feel alert upon rising then you are definitely sleep deprived and will start accumulating, “sleep debt”. What are the common causes of insomnia and sleep disorders and what can you do about them? Living a sedentary lifestyle. Being physically active necessitates you to consume energy and leaves you feeling more exhausted and ready to sleep at night. Appropriate physical exercises encourages the body to get into a deeper state of sleep which influences the mind to also achieve proper restorative REM sleep. So if you are inactive most of the time the quality of your sleep sleep is going to be compromised and may experience insomnia. High intensity exercises after work or at night, however, are associated with insomnia and other sleep disorders. High intensity exercises raise your cortisol levels at the time of the day when they should be slowing down. This sparks an awakening response in the body resulting in difficulty falling asleep at a sensible hour (before 10:30pm) and/or a lack of deep restorative REM sleep. Avoid high intensity workouts after 2 p.m. Engage in appropriate regular exercise. 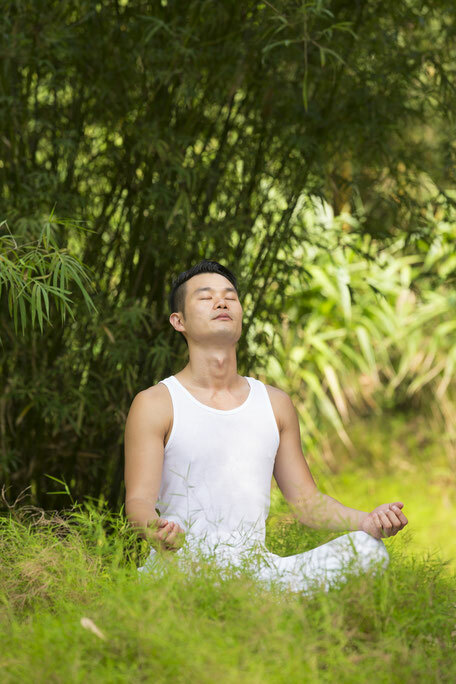 Practice moving meditation, yoga, stretching or deep breathing exercises before bed time. Deep breathing before bed relaxes your central nervous system and helps quiet the mind which prepares you for better and deeper sleep. Consuming sugary foods and stimulants, such as alcohol and caffeine, before bed is excitatory in nature and increases blood sugar levels. When your blood sugar level crashes in the middle of the night, cortisol is released by your adrenal glands in order to stabilise it. This has the effect of waking you up between the hours of 1am and 3pm and its often difficult to go back to sleep.. Eating incorrectly for your Primal Pattern Type. 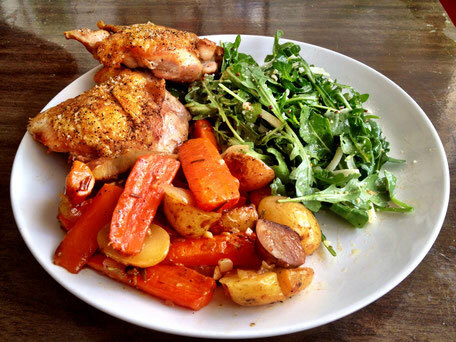 Not eating the right macronutrient ratio for you because you are following someone else's diet is a recipe for disaster and ultimately will result in "topping up" with the wrong types of food, junk food, processed food and refined carbohydrates. This will have a similar effect to the above by causing blood sugar dysregulation and sleep problems. Low carb diets. Limiting the consumption of carbohydrates over the medium to long term can affect sleep for some people and is linked to insomnia a Even though, you may have heard that eating tryptophan induces sleep, it cannot do so without carbohydrates. Often people who have been on low carb diets for a while get better sleep and achieve additional weight loss when they add some good quality carbs back into their diet. Eating food you're allergic or intolerant to will put greater stress on your body to work harder during the night to digest and detox. Your liver is your main organ of detoxification and it really ramps up its nighttime activity between 1am and 3am. So, if you are eating these foods close to bedtime you may suffer from a restless nights sleep as your liver is in overdrive mode..
Avoid consuming caffeine after 3 p.m. Eating correctly for your Primal Pattern Diet Type positively influences our brain health and activity which consequently, affects sleep. Inconsistent sleep and wake timings. A more inconsistent routine prevents your body from releasing the right hormones at the right time to help you either fall asleep at night or naturally wake up with the sun without an alarm clock. Sleeping after 10:30 pm. The physical repair cycle begins from 10:00 p.m. and runs til 2:00 am whilst the psychogenic repair cycle (mental recovery) runs from 2:00 am to 6:00 am. Thus, the later you go to sleep, the more disrupted your regenerative cycles, the less likely to you are to physically and mentally repair your mind and body and the more prone you will be to illnesses, diseases and mental problems..
Night shifts. There are countless studies that show how detrimental night shift work is to your health. Genetically we are not equipped to deal with living a nocturnal lifestyle. In summary, all the above-mentioned factors disrupt the natural circadian rhythmic production of cortisol (wake me up hormone) and melatonin (sleepy hormone). Ensuring you have a consist and proper sleep routine is important to helping you fix issues of insomnia. 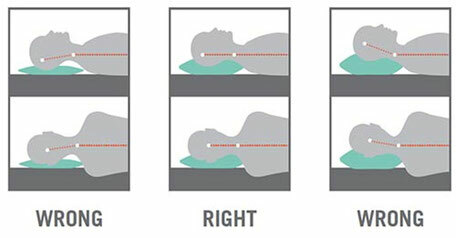 Sleeping with a pillow of incorrect height can block your breathing pathways and affect your breathing. 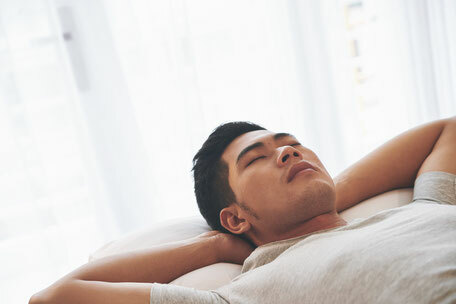 Nasal breathing is a parasympathetic activity which encourages rest, relaxation and a good night's sleep whereas mouth breathing is a sympathetic dominant activity that will result in shallower thoracic breathing and increased restlessness. Infants and children and perfect specimens of what our posture should be and don't need pillows! Awkward sleeping positions prevent you from being able to breathe through your nose, with the inevitable result being mouth breathing in order to compensate. External stressors before bedtime (such as work emails, watching the news, having arguments, etc.) can raise your cortisol levels which will compete with the production of melatonin at night and thus, affect your ability to fall asleep quickly. Horror movies invoke feelings of paranoia, fear and anxiety this puts you in heightened state which is the exact opposite state you would want to be before sleeping. Not only will you find it hard to fall asleep but the quality of your sleep will also be compromised (insomnia). Unpleasant emotions which will reveal themselves in the form of nightmares which might wake you up in the middle of the night. A Holistic Lifestyle Coach is able to better assist you in seeing your sleeping problems more clearly but also, to provide you with the support and information on how you can deal with such challenges. Drink 1/2 your bodyweight (lbs) of water in ounces each day. More if you also consume alcohol, caffeine or canned drinks. Drinking high quality water can help with insomnia. External loud or irritating noises affect your ability to fall asleep and the quality of your sleep. For example your spouse's snoring, creaky pipes, traffic noise. Blue lights from electronic devices. At night, blue light blocks the body’s production of melatonin, the sleepy hormone, which should be at its peak before bed. However, when you look at blue light (unnatural blue light on computer screens, phones, television) your body thinks it is the middle of the day. It doesn’t produce melatonin and you do not feel sleepy even if you are tired. House lights and street lamps also affect your levels of melatonin production. Fluorescent strip lights are the worst. Intestinal parasites generally live on a nocturnal cycle. Then wake up at night and can lay eggs in yours organs which can lead to teeth grinding and restless sleep. Certain medications have side effects that can upset your normal sleep patterns making you lose sleep. Use "white noise" tapes which include the sound of ocean waves, rain, birds chirping etc. It is important to sleep in a quiet and relaxing environment. 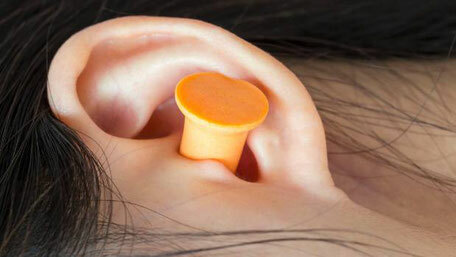 Use ear plugs to filter out disturbing noises that may affect your sleep. Prolonged feelings of loneliness can cause insomnia because you have to feel secure in your social and relationship environment so as to have a good night's rest. Fostering healthy and meaningful relationships can help you sleep better. Spend a few minutes before bed to write a few things you were thankful for in a gratitude journal. 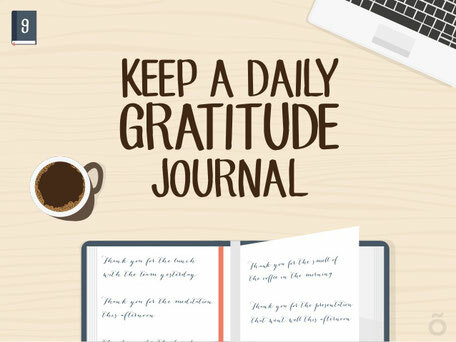 Writing in a gratitude journal for 5 to 10 minutes every night before bed helps you worry less and sleep better. A lack of sunlight. 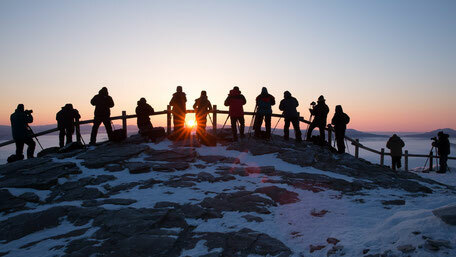 The moment sunlight comes into contact with our eyes, it evokes an array of processes in the brain prompting the production of the neurotransmitter serotonin. 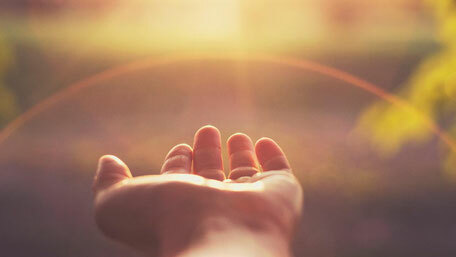 Later in the day, as the sun sets, your brain transforms the serotonin it received during the day into melatonin. If you do not generate enough serotonin during the day you will be melatonin deficient at night. Sleep during the night time! Watching the sun rise and the sun set whilst standing outside barefoot is a great way to reset your circadian clock to recover more quickly from Jet lag. So, that’s really a huge number of tips for you that we hope will be really helpful. Of course you don’t need to implement them all and certainly not at once! We always recommend going for the easy wins first and to apply those changes that you are most likely to stick to that do not disrupt your life. We're here and happy to help so if you’re looking for support in making some of the more challenging changes then do not hesitate to get in touch with us. This is about as comprehensive an article on sleep as I’ve ever seen. ‘Sleep Arrogance’ is a global problem. People would do well to follow the advice laid out in this article. I'm glad you enjoyed the article Phil. Yes you're exactly right and the amount of times I hear people say, "I'll sleep when I'm dead" is really troubling. A lack of quality sleep was a big problem for me. Having read the article and recognizing a number of symptoms, I adopted several of the suggested recommendations. I found a great improvement in sleep quality which leads to a better quality of life.